The Kings Cross Tunnel is connecting William Street and New South Head Road in Kings Cross. 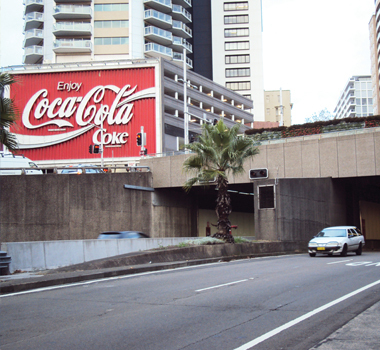 UGL Infrastructure Project Manager Damien O’Dea said Roads and Maritime Services (RMS) had provided the ventilation concept design for the 320 metre long dual cut and cover construction in the southern area of Kings Cross near the well known ‘Coca-Cola’ sign. UGL was the head contractor to RMS for detailing the design, procurement, installation and integration of the RMS ventilation design for the Kings Cross Tunnel. “The tunnel was originally constructed in 1972 to divert traffic from the Darlinghurst Road intersection. It was ventilated with thirteen 17kW tunnel jet fans, six in the two eastbound lanes, while seven tunnel jet fans serviced the three westbound lanes,” he said. The tunnel ventilation system is part of the fire and life safety system and is compartmentalised east and west bound. In normal operations the fan equipment serving each direction is automatically called into service as carbon monoxide threshold levels are exceeded, ramping up as these levels increase. However if tunnel sensors detect a fire, the fan system serves a dual purpose of smoke management. The RMS project involved upgrading the ventilation system with new fans. The eastbound fan equipment was replaced with larger and more powerful tunnel jet fans (37kW); however space constraints in the westbound carriageway did not allow increasing equipment sizing. Instead, RMS decided to remove the aged westbound fans and go to a Saccardo nozzle system which was installed in the void space below the Ward Avenue ramp. The Saccardo nozzle system differs from a traditional multiple jet fan installation by having a single discharge point served by multiple supply fans, in this case four 55kW axial fans. Damien said UGL had designed and installed a similar system for Perth’s underground rail tunnel. “We undertook the final design detailing, and subcontracted the supply of the fan equipment directly to Witt & Sohn in Germany who in turn utilised their Australian representative Fantech to assist with manufacturers’ commissioning of the fan equipment,” he said. This design, supply, installation and commissioning project took 16 months and was completed in April 2012.